The second installment of the Breck Film Festâs Summit Film Society will be the film "Sing Street" on Tuesday. Where: Breckenridge Theater, 121 S. Ridge St.
Info: The Summit Film Society is presented by the Breckenridge Film Festival, which screens films monthly from August to November. Tickets are $10. For more, go to BreckFilmFest.com/sfs or call the Riverwalk Center Box Office at 970-547-3100. 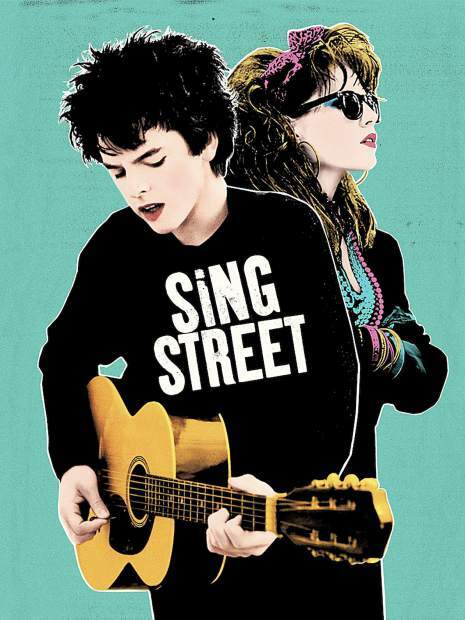 The second installment of the Breckenridge Film Festival’s Summit Film Society, a new initiative from the organization, will occur Tuesday and feature “Sing Street,” a film that goes back to 1980s Dublin, Ireland, as seen through the eyes of a lovestruck 14-year-old boy. The film, from acclaimed writer-director John Carney, follows the boy as he meets a girl, Raphina. She is unimpressed with him, and so he starts a band called Sing Street to win her affections. Music is the central part of this heart-warming film, according to a news release, and the soundtrack not only features hits from Duran Duran, Joe Jackson, The Cure, Official Motorhead, Hall & Oats, The Jam and more, but also a new track by Adam Levine and eight previously unheard songs by the Sing Street band. The Summit Film Society is Breckenridge Film Festival’s newest initiative to bring unique and independent films to Summit County through monthly screenings. Doors open at 7 p.m. Tuesday, and the show begins at 7:30 p.m. A full bar, nonalcoholic beverages and snacks are available until 8 p.m.